Finding the right desk for demanding professional broadcast applications has never been easy. 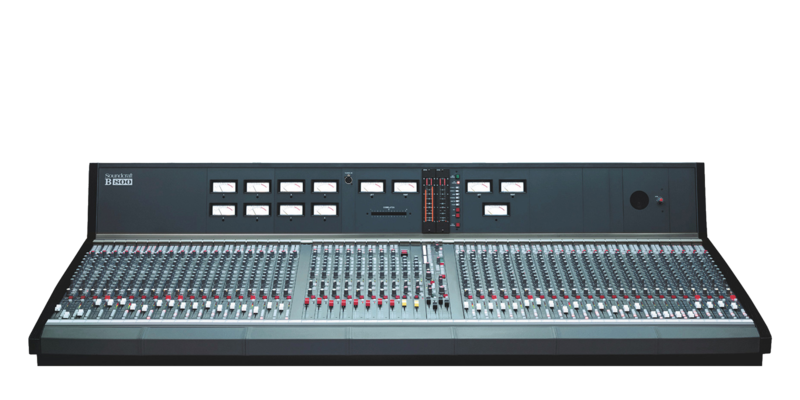 The varied requirements of live TV broadcast, production and live radio work, and OB installations means that only highly customised versions of existing mixers have been suitable - especially when space is at a premium. The Soundcraft B800 changes this. The B800 is a specialised yet highly flexible modular broadcast mixer, drawing on Soundcraft’s experience of designing and customising consoles for the broadcast audio market. Extensive configuration options available within modules mean that the features and flexibility you would previously have expected only on a customised desk are available within the B800's compact frame. In terms of audio routing, remote control and signalling facilities, the B800 sets a new standard for versatility, and compact, ergonomic efficiency. Designed from the ground up as the key audio component in broadcast installations, the frame and electronics of the Soundcraft B800 embody the highest standards of structural and electronic integrity. Whatever the mix of high-quality studio sources and unpredictable remote signals, the B800 ensures superior audio performance. Modules are connected to internal bussing via motherboard construction, audio connections are via balanced XLRs, and all internal mix busses are balanced to achieve a high degree of isolation, noise and interference rejection, and robust signal handling. Five frame sizes are available, accepting up to 48 inputs. The desk can be configured with 8 mono or 4 stereo groups, and there are two fully independent stereo master output modules. 6 mono and 2 stereo aux sends are provided. Extensive monitoring and cue facilities include stereo AFL/PFL, and several sets of speaker and phones outputs. There are 4 VCA groups for additional level control.